Apple will not release the AirPower charger, the company confirmed on Friday. “After much effort, we’ve concluded AirPower will not achieve our high standards and we have canceled the project,” Apple said. Apple’s AirPower charger has been canceled, Apple confirmed on Friday. “After much effort, we’ve concluded AirPower will not achieve our high standards and we have canceled the project. We apologize to those customers who were looking forward to this launch. We continue to believe that the future is wireless and are committed to push the wireless experience forward,” said Dan Riccio, Apple’s senior vice president of Hardware Engineering in a statement. 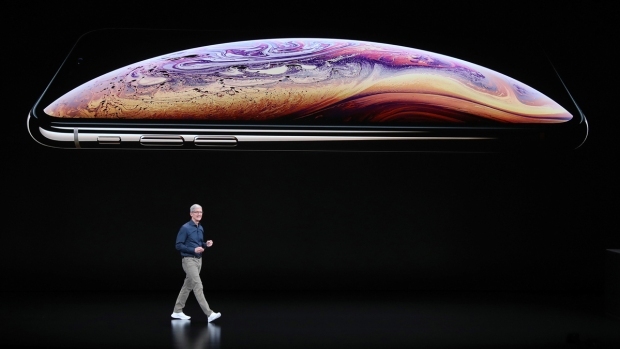 The news comes at the end of a long week for Apple, which kicked off with an event meant to showcase the company’s growing services business, including its forthcoming video service, TV+. However, that event was short on critical details, such as pricing for many of the services, leaving many onlookers puzzled about what the event was meant to accomplish. AirPower was first announced in 2017 alongside the iPhone X and iPhone 8, the first Apple phones to support wireless charging. At the time, Apple said it would launch in 2018 but it never did. AirPower was planned to be a wireless charger for Apple products that allowed users to fill up their batteries by simply placing their device on the mat. However, Apple users can still wirelessly charge their phones using charging mats from other makers that use the Qi wireless charging standard. A new version of AirPods with wireless charging capability was released this week. Its packaging mentioned AirPower. Apple shares were up about half a percentage point in late-day trading, and the announcement did not move the stock.